Learn the essentials of EFT In this practical transformational workshop. You will receive an Internationally recognized AAMET EFT Level 1 Certificate of attendance. Obtain proficiency in using this incredible self empowerment and healing technique and you can change your life. EFT has proven successful in thousands of clinical cases for stress, trauma, abuse, panic, fears and phobias, depression, addictive cravings, children’s issues and hundreds of physical symptoms including pain relief, back ache and breathing difficulties. Properly administered over 80% of clients experience some improvement or complete cessation of physical symptoms or emotional problems. EFT often works where nothing else will, it is easily learned by anyone and can be self applied. Based on impressive new discoveries involving the body’s subtle energies, EFT has been clinically effective in thousands of cases for Stress, Trauma & Abuse, Panic & Anxiety, Fears & Phobias, Depression, Addictive Cravings, Children’s Issues and hundreds of physical symptoms including pain relief, headaches, back pain and breathing difficulties. Properly applied, over 80% achieve either noticeable improvement or complete cessation of the problem. It is the missing piece to the healing puzzle. …Often works where nothing else does. …Usually rapid, long lasting and gentle. Discover 2 simple ways to overcome self sabotage. Practice several Effective Shortcut Versions of EFT and when to use them. Learn four things that can stop EFT From working and how to overcome them. Experience the power of EFT for yourself. And much more…. If you wish to become a certified EFT Level 2 Practitioner you are required to join AAMET International, satisfactorily complete your multi choice assessment, complete 4 case studies, 50 practice sessions and a minimum of 6 hours one on one supervision or at least 3 hours one on one and 6 hours group mentoring. 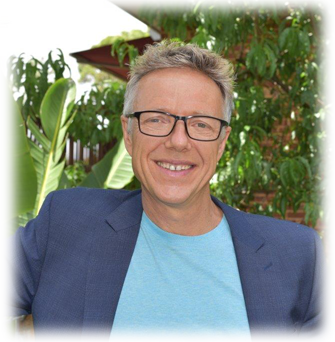 Russell Cunningham director of The Australian Institute of Self Development and NLP For Life, provides Training, Coaching, EFT and NLP Therapy to assist you to achieve your personal and business goals. 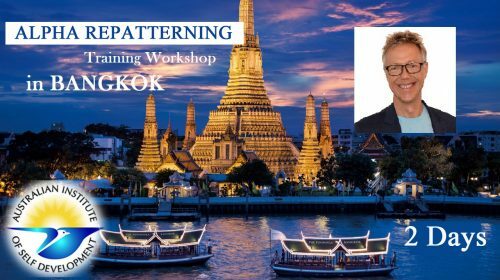 He is a leading EFT Trainer with AAMET International, NLP Master Practitioner and Trainer, Timeline Therapy Master and creator of Alpha RePatterning. “After years of conventional counselling to help cope with the trauma of sexual abuse as a child, I realized I was still suffering from a lot of negative emotions, that were keeping me from being happy. I went in search of something that would bring peace into my life. EFT has done that for me. The emotional blockages associated with sexual abuse have gone! I have discovered a sense of self and now have peace and joy in my life”. “…. I am writing just to tell you that the one phone session that I had with you earlier this year on getting good results in my counselling studies, worked like a treat. I ended up getting 5 out of a possible six distinctions in my course work for the year. “After a long period of unemployment Russell has helped me clear the way for the role I desired using a range of my skills and also in the location I love to work at; close to water & close to home. I am on a contract and I did not even have to negotiate a fabulous daily rate. After I cleared my childhood issues I received a call regarding my ideal role the following day. That’s how quick it all works! I would have never believed it and am now working on meeting my ideal life partner. Hooray!! PS. We recently attended GP’s Wedding! Normally $495 or Book and Pay Early and save $100 – Early Bird Special $395.